Akins and fellow tight end Jordan Thomas will fill in for Ryan Griffin (illness, out) on Thursday against the Dolphins, Aaron Wilson of the Houston Chronicle reports. Analysis: The rookie tight end tandem filled in for Griffin last week as well and had a combined one target. Houston's coaches have talked about getting the tight end position more involved, but it just never materializes. Akins has 11 targets in seven games, and we expect a similar rate of attention Thursday. 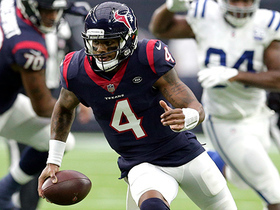 With Deshaun Watson playing through a chest injury and facing the NFL's 29th-ranked rushing defense, Houston's game plan will be about getting the ball in the hands of running back Lamar Miller. Akins played 30 of 64 offensive snaps and was not targeted in Sunday's win over the Jaguars. Analysis: If there was ever a week that Akins might break out, it was Week 7 with Ryan Griffin (illness) inactive. 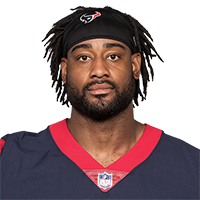 Unfortunately for Akins, the Texans relied on the running game, so the coaches opted to use Jordan Thomas, the superior blocker, more than Akins. We suspect the Texans will execute a similar run-first formula Week 8 on Thursday night against the Dolphins, who rank 29th against the run. Akins is expected to receive more playing time with Ryan Griffin (illness) declared out for Sunday's game against the Jaguars, Aaron Wilson of the Houston Chronicle reports. Analysis: Houston's tight ends are barely perceptible in the offense, so Griffin's absence is not expected to mean much for Akins or Jordan Thomas in terms of fantasy production. 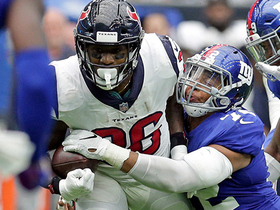 Factor in the opponent, Jacksonville, which is tied with the Baltimore as the league's top-ranked passing defense, and we could see the Texans relying heavily on the running game. Akins has been targeted 11 times (nine catches) through six games. Akins caught his only target for six yards in Sunday's win over the Bills. Analysis: Akins has caught at least one pass in every game but has no more than two in any contest. His catch percentage is fine (82 percent), but with only 11 targets through six games, Akins is not ready for a regular fantasy role. Akins caught one of two targets for nine yards in Sunday's 19-16 overtime win over the Cowboys. Analysis: Akins and fellow rookie tight end Jordan Thomas have been afterthoughts in the offensive attack. The duo has combined for 18 targets over the first five games. Starter Ryan Griffin is the most attractive tight end option on the roster, but the position group as a whole lags behind the wideouts and backs. 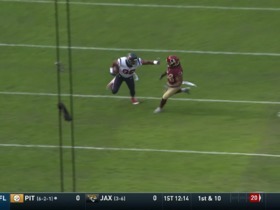 Akins caught two of three targets for 24 yards in Houston's Week 4 overtime win over Indianapolis on Sunday. 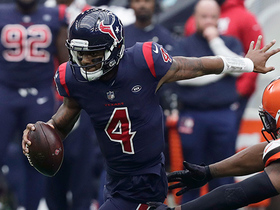 Analysis: Texans' tight ends accounted for four of quarterback Deshaun Watson's 42 dropbacks -- Ryan Griffin had the other. From week to week, the leader among Houston's three tight ends has changed, making it difficult for fantasy owners to pinpoint one. 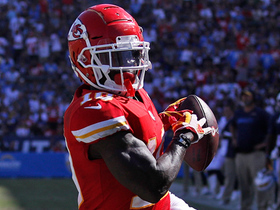 Additionally, Watson has primarily focused on the wide receivers, so even with a high-volume passing team, the tight ends are given little chance to produce. Akins caught his lone target for 18 yards in a Week 3 loss to the Giants. Analysis: Akins has caught all five targets this season, but trails the position group with 50 yards through three games. His 18-yard catch Sunday was his longest of the season. 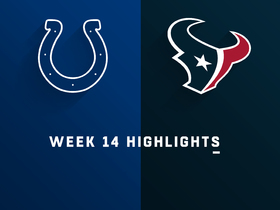 Akins caught both of his targets for 21 yards in Sunday's 20-17 loss to the Titans in Week 2. Analysis: Akins led Houston's tight ends in receiving yards Sunday and is the position group's leader in catches and yards through the first two weeks. He's caught all four of his targets for 32 yards over the first two weeks. Akins caught both of his targets for 11 yards in Sunday's 27-20 loss to the Patriots in Week 1. 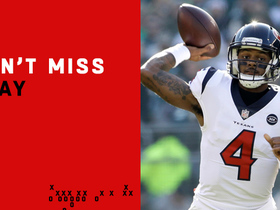 Analysis: Houston's tight ends combined for three catches on nine targets as quarterback Deshaun Watson never resembled the dynamo we saw in his six-game run as a starter in 2017. Starter Ryan Griffin did not have a catch in five targets while Jordan Thomas caught one of two for 27 yards. The pecking order will likely remain the same heading into Week 2 against the Titans, but given that Griffin and Watson were so out of sync Week 1, Akins is on our watchlist. Akins brought in both of his targets for 20 yards and two touchdowns in the Texans' 17-10 preseason win over the Chiefs on Thursday.